Aria Boho Necklace Set consists of a necklace that features golden metal chain with fringed detailing and teardrops. Matching drop earrings. 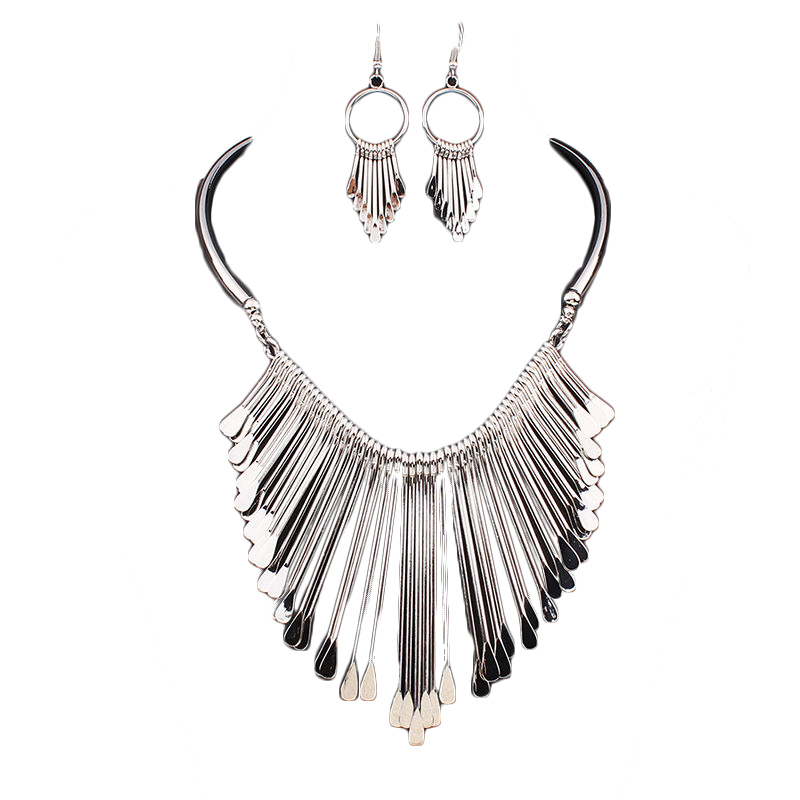 Buy this boho necklace set online today at lowest price guaranteed.